Alright anglers; we’re in the home stretch of my swimbait series and like I said in my last article, I’ve saved the best for last. Lake Fork’s Live Magic Shad, Rago’s BV 3D swimbait, and Mattlure’s Bluegill Series Swimbaits are an amazing trio of soft plastic baits that an angler would be proud, and privileged, to use. Each features unique traits that distinguish them from others in the market and allow anglers to make a serious statement on the water, especially when it comes time to show off what you’ve caught! Lake Fork’s Live Magic Shad resembles a fluke or soft jerk bait in body style, but that’s where the similarities end. This soft bait has swim cuts in the body to create a jointed body that produces superb swimming action in the water. The Live Magic Shad is also garlic scented and can be rigged any number of ways—weightless, Carolina, Texas, drop shot, wacky, or even on a jighead. It comes in very realistic colors and is available in 3.5, 4.5, and 5.5 inch models for $5.99. Everything I’ve written doesn’t do the bait justice, however, so believe me when I say that this is one lure that is worth trying out. The Rago BV 3D swimbait is a lure that needs no introduction. Designed and made famous by Byron Velvick during his win at the Golden State Shootout, where he reportedly used the BV 3D exclusively to catch over 83 pounds of fish, the pre-rigged soft plastic baits imitate baitfish perfectly. The bait is available in a line-through and harness model, and comes in six different color patterns. The two rigging types have the same action in the water, but the harness will be stronger and its nose tie can be tuned to change retrieve directions, whereas the line-through model is a little more long-lasting, as the bait will slide of your line when you hook a fish. Swimbaits were already steadily rising in notoriety before Velvick’s victory, but his use of the BV 3D sky-rocketed the lure’s popularity to unseen levels. Mattlure’s Bluegill bait is honestly the most realistic plastic bluegill imitation on the market today. Pre-rigged with a single hook on the back, each one is hand poured and painted to perfectly mimic a bluegill. You can fish it fast, slow, or you can even drop them to the bottom, where they maintain a “feeding” position that I promise will not go unnoticed by even the most timid bass. Once dropped to the bottom, gently twitch your rod tip and wait for your rod to double over with a tremendous strike. 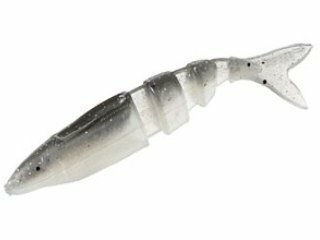 The baits are a bit more expensive, and will appeal to those anglers who target monster bass, but $19.95 for these five-inch, realistic beauties is a small price to pay for a trophy bass. I really hope that my coverage of hard and soft swimbaits has provided you all with some great information and you’ve learned a little more about this great lure through reading about some of the different models available. As you can see, the innovations made by several companies are truly groundbreaking and each of the lures I’ve described in this series deserves a shot on the water. Whether you’ve never used a swimbait before, or you’re an experienced angler looking for that special lure with a little something different, I’ve done my best to appeal to everyone with the ones I’ve outlined. With the ever-increasing popularity of swimbaits, new models are being made all the time by established companies, so keep a look out for one that catches your eye, and, until then, give one baits I’ve detailed a shot. I promise you’ll be hooked!